Fabric: 7.75 oz. per square yard Comfort Twill 65% polyester/35% cotton. Full cut pant for ease of motion and comfort with permanent creases both front and back. 2" wide waistband with Snug-Tex shirt grip on the inside. 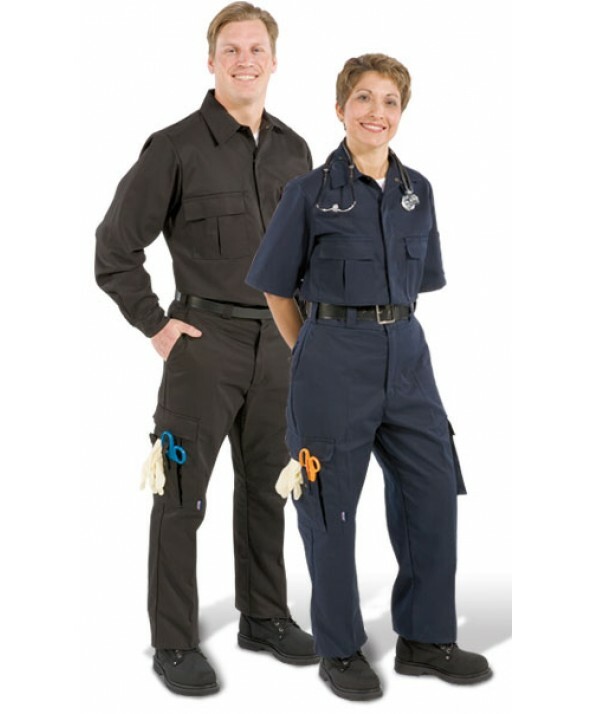 Unique design glove/scissor pocket on the right leg. The pocket comprises a three part scissor pocket on the outside, a separate glove pocket in the center with a large 8 1/2" x 9" bellowed cargo pocket behind. The separate glove pocket in the center measures 5 1/2" x 7 1/2" and ensures that surgical gloves can be stored separately from other items. The glove/scissor pocket fastens closed with a pocket flap and hook and loop tape. The left leg has a spacious bellowed cargo pocket measuring 7" x 8" with a 2" bellow. 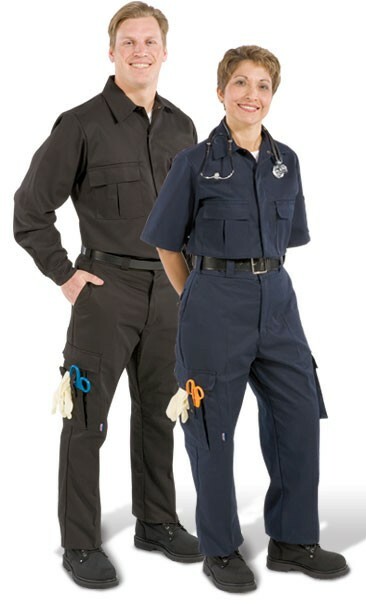 The cargo pocket fastens closed with a pocket flap and two concealed snaps per pocket. Two patch hip pockets on the rear which fasten closed with a pocket flap and two concealed snaps per pocket. Reinforced knees for enhanced durability.